Your look it´s amazing! 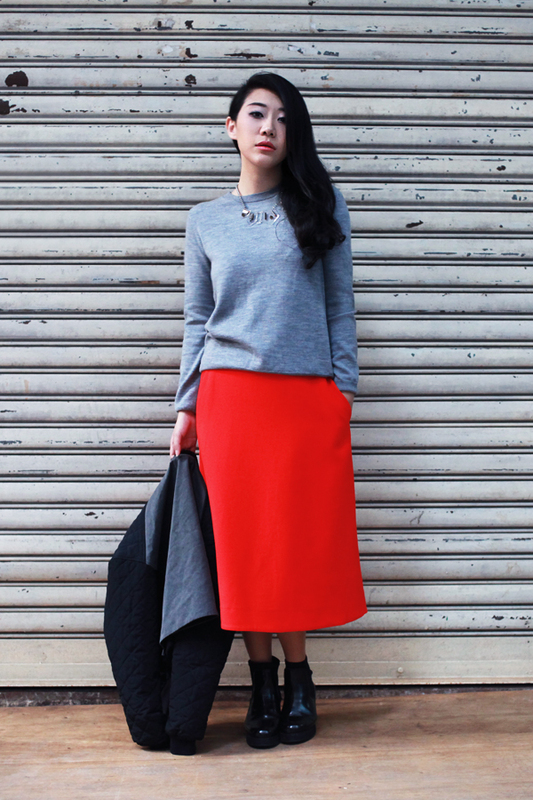 Midi skirt like minimal style! so cool! This style is casual and chic! LOL, Love that you have a sense of humour about posing. I find it harder to post when I’m wearing tight clothing,. Anyway, you look great! my favorite color is that red. great silhouette! The proportions in this look are different but seriously so good! Really love the look of grey with that bright red! And that necklace really adds a special touch to a simple top. I love the new skirt length that is coming in and the red is gorge! That skirt is amazing! Swoon! 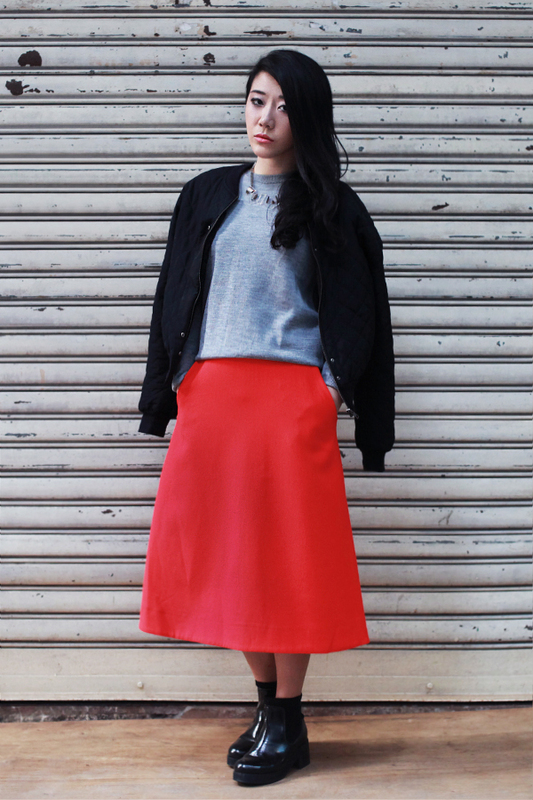 Love what you did with that skirt. Damn girl! I love the face first, the look second.